In honor of Black History Month, here's rare images and the story of Jacksonville's Sugar Hill neighborhood. 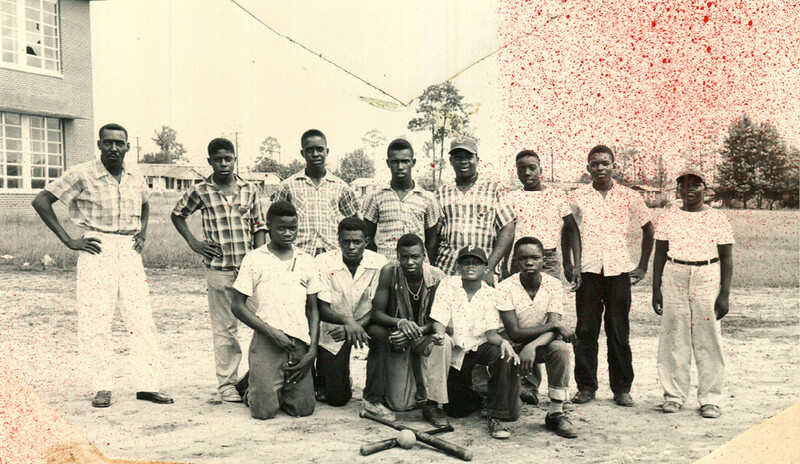 Prior to largely being destroyed by desegregation, highway construction, medical center expansion, and urban renewal, Sugar Hill was the epicenter of black prosperity in Northeast Florida. From the late 1800s until the 1960s, Sugar Hill was the neighborhood where Jacksonville’s most prominent African-Americans lived. During the Jim Crow era, the neighborhood was black Jacksonville’s answer to Riverside and Springfield. A prestigious upscale streetcar suburb, Sugar Hill was located along Hogans Creek and Springfield Park, just west of Springfield. Primarily developed after the Great Fire of 1901, Sugar Hill was largely a byproduct of the “Colored Man’s Railroad”. Officially the North Jacksonville Street Railway, Town and Improvement Company (NJSRYT&IC;), this streetcar line was initially a black-owned system connecting Northwest Jacksonville with downtown. Primarily a loop utilizing State Street, Kings Road, Myrtle Avenue, 13th Street, Moncrief Road and Davis Street, it would fuel residential and commercial development in Durkeeville and Sugar Hill. In Sugar Hill, several elaborate residences lined streets such as 8th Street, Davis Street, Moncrief Road, and Jefferson Street. While there was no access to the St. Johns River, the neighborhood economically benefited by being home to the George A. Brewster Hospital and School of Nurse Training, the Duval Medical Center and several industries along the Seaboard Air Line Railway corridor that separated it from neighboring Durkeeville. In addition, prior to 1924, Sugar Hill was the home of the Cookman Institute. 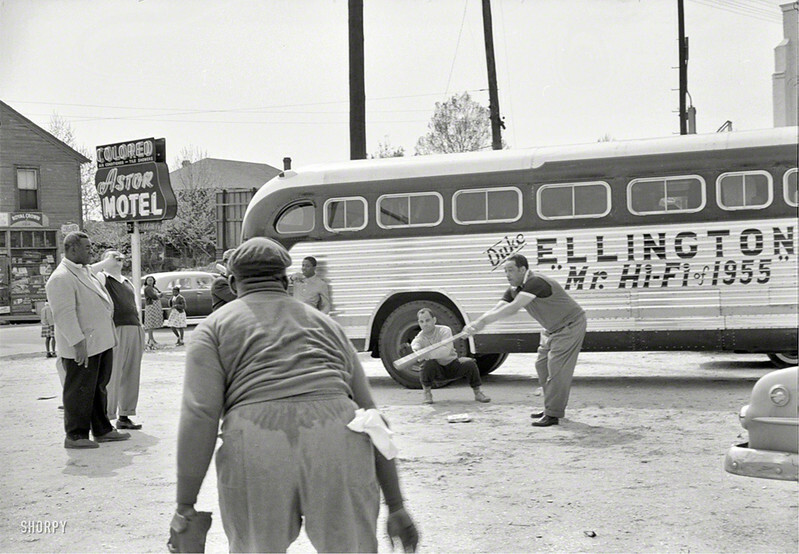 This higher learning institution was located at the intersection of Davis and 8th Streets. In 1923, it merged with the Daytona Educational and Industrial Training School. Today, with an enrollment of 3,400, this institution lives on as Bethune-Cookman University in Daytona Beach. Furthermore, every great urban neighborhood contained a great public space and Sugar Hill’s Wilder Park was no exception to this rule. 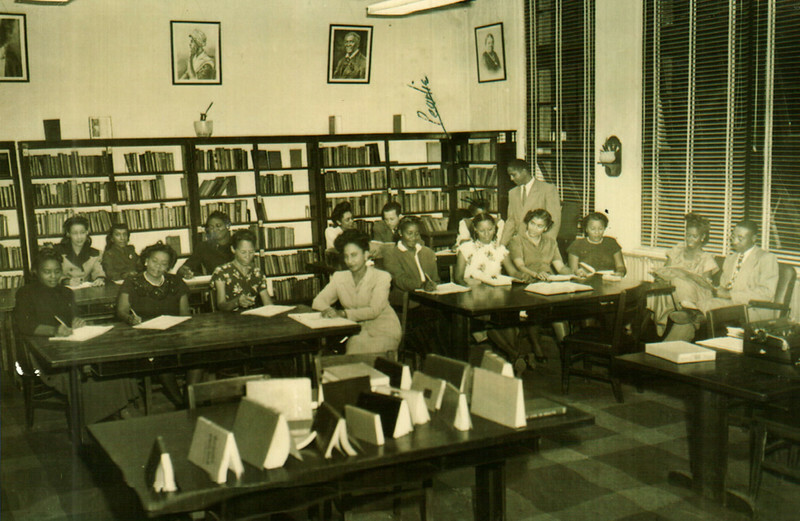 Accessible via the NJSRYT&IC; streetcar loop, the 30-acre park included a branch public library for African-Americans, a track, baseball diamond and community center. Perhaps Sugar Hill was a little too nice for Jim Crow era Jacksonville. In the 1950s, Northwest Jacksonville’s most ritzy neighborhood found itself in the “path of progress”. An expressway needed to be built in the city’s urban core and city leaders viewed this project as the perfect opportunity to clear up “urban blight”. The answer to this was the demolition of Sugar Hill’s mansions to make room for the construction of the Jacksonville Expressway. Wilder Park’s 30-acres were needed as well. Instead of a public library, community center, track and playing fields, planners of the era felt a better use of the property would for it to serve as the northern half of an interchange with Kings Road. Needless to say, with the completion of the Jacksonville Expressway in 1960, Sugar Hill’s sunny days had come to an abrupt end. The combination of a new expressway and Desegregation ruined its business district along Davis Street. With the passing of the 1964 Civil Rights Act, there was no need for a black hospital, which led to the closing of Brewster Hospital in 1966. More economic damage would come in the City’s Department of Housing and Urban Development forcing 75% of the remaining families out, in order to revitalize the neighborhood. Once this project failed, the urban renewal focus moved on to LaVilla, Brooklyn and downtown, ultimately negatively impacting these districts as well. Furthermore, growth at University and Methodist Hospitals led to the elimination of more Sugar Hill residents. Merging in 1999 to become Shands Jacksonville, this campus is now known as UF Health Jacksonville. The Cookman Institute’s campus is now the home of Darnell-Cookman School of the Medical Arts. 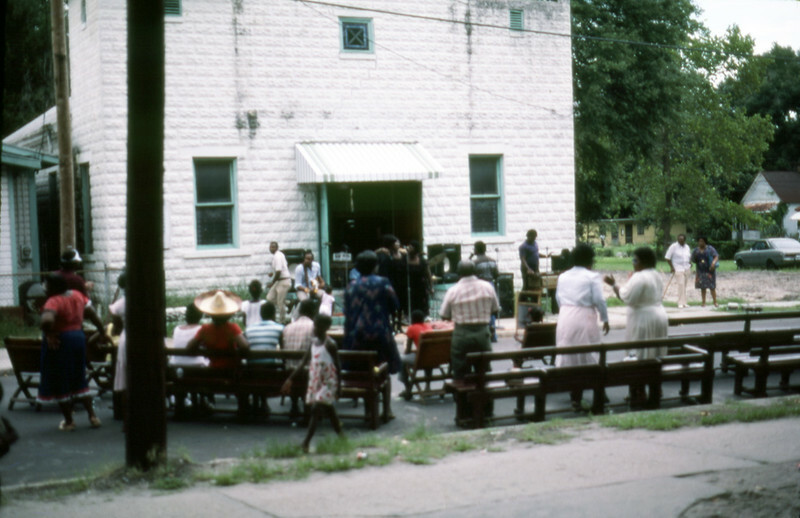 In recent years, proving preservation of black history has not been a major goal of our community, Brewster Hospital’s historic building and several stately residences once occupied by African-American doctors on Jefferson Street were removed to make way for the Jacksonville VA Outpatient Clinic and a large gated surface parking lot. Once a tree lined street every bit as impressive as Riverside Row, West 8th Street is now six lane road lined with parking lots, a McDonald’s drive through and a Walgreen’s Pharmacy. 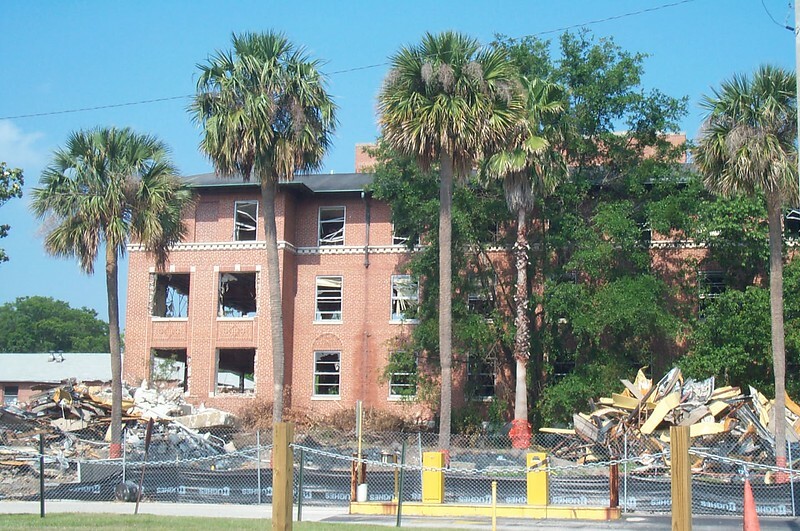 The demolition of Brewster Hospital in preparation for the construction of the Jacksonville VA Clinic. Located just outside of the Springfield Historic District’s boundary, this unprotected Sugar Hill structure opened as a hospital for black Jacksonville residents in 1931. The 95-bed medical center closed in 1966, two years after the passing of the 1964 Civil Rights Act. In short, there’s not much left of the exclusive neighborhood built on the back of black prosperity in an era of heightened local racial discrimination. If you see dirt being turned on Sugar Hill’s vacant lots, it’s probably not new construction. Instead, it’s more than likely the EPA replacing contaminated soil from a City of Jacksonville municipal solid waste incinerator that sprinkled ash all over the neighborhood from 1901 until the 1960s. However, if you’re willing to take a walk or drive down Sugar Hill’s lesser traveled side streets, you can find a a fair share of old residential structures still standing, providing a direct link to the historically significant African-American community’s past. In honor of Black History Month, Modern Cities presents a rare collection of images illustrating Sugar Hill during its heyday.